Steadfast’s decision to buy a non-controlling stake in Hamburg-based unisonBrokers for an undisclosed price is another stop in a strategy to expand its international business opportunities. UnisonBrokers, which generates $US17 billion ($22.6 billion) of gross written premium and also has a major base in Chicago, will be renamed unisonsteadfast when the deal is completed. Steadfast CEO Robert Kelly, COO Samantha Hollman and former Munich Re Australia MD Heinrich Eder will join the supervisory board. Steadfast is set to hold its annual analyst investor days tomorrow and Thursday, when it is expected to provide more details on the Unison investment. “We are excited about the chance to extend our broker network’s global reach and provide potential new opportunities for both parties,” Mr Kelly said in announcing the acquisition. Unison CEO Wolfgang Mercier founded the network in 2005 and has overseen its expansion to around 200 brokers across 130 countries. 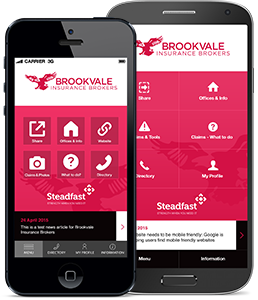 According to its website, Australian partners already include Austbrokers Holdings, Ceneta Insurance Solutions, InterRisk Australia and JMD Ross Insurance Brokers. Steadfast says it will join the Unison network, facilitating access to international markets for its brokers. The company’s current operations in Australia, New Zealand, Asia and London (wholesale) will continue unchanged. Stock analysts Morningstar says the tie-up is consistent with Steadfast’s strategy to develop global strategic partner relationships and should complement the existing domestic business. “Steadfast products and services will eventually be available to Unison brokers and Steadfast brokers in Australia and New Zealand will be able to access international markets on behalf of clients,” it says in a research note. Morningstar says since going public in August 2013 Steadfast has added 45 brokers in Australia and lost just one in the period up to February this year.